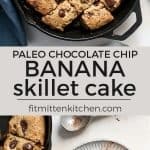 This Paleo Banana Chocolate Chip Skillet Cake is the perfect way to use up those overripe bananas. Made with almond flour, lightly sweetened with coconut sugar and delicious with your favorite scoop of ice cream. I’m trying my best not to wish days away but good lawd am I ready for some warmer weather. Here in the Midwest (and Northeast) getting snow is just the name of the game during the month of April. But that doesn’t mean I am okay with it. Some of you winter fanatics may be all about this long winter nonsense but I am just dreaming of those summer days, more walks in the sunshine and Lake Michigan beach trips. CANNOT WAIT. I mean Spring is cool too… once it actually shows up. I’m looking forward to all the flowers and blooms. 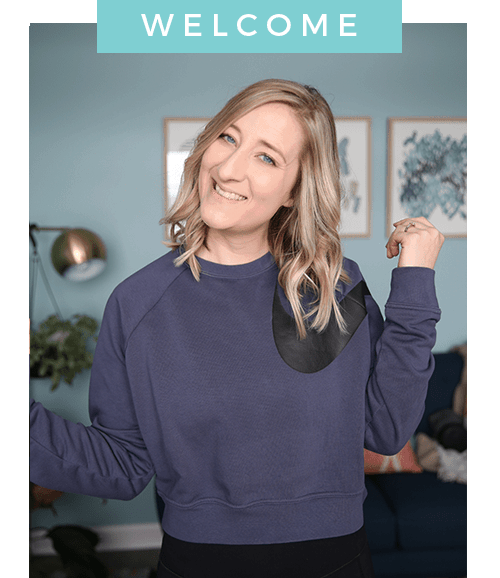 I may not know much about gardening and plants and things but I DO know about some damn good desserts… So let’s just move right on to the recipe, shall we? 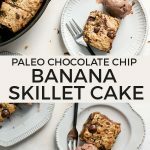 So I was looking to recreate one of my favorite paleo desserts from last year but made with banana instead… And while I didn’t get the cookie-cake like texture that the pumpkin version lends itself to, I did get a delicious dense cake style dessert and it’s still freaking BANGIN’. I knew I would be in love because banana – obviously. And chocolate chips. I actually had a feeling that would happen – the texture of the dessert being a little different – but maybe it was just meant to be this way? Okay and admittedly I was a little tired from testing four batches of grain-free chocolate donuts. 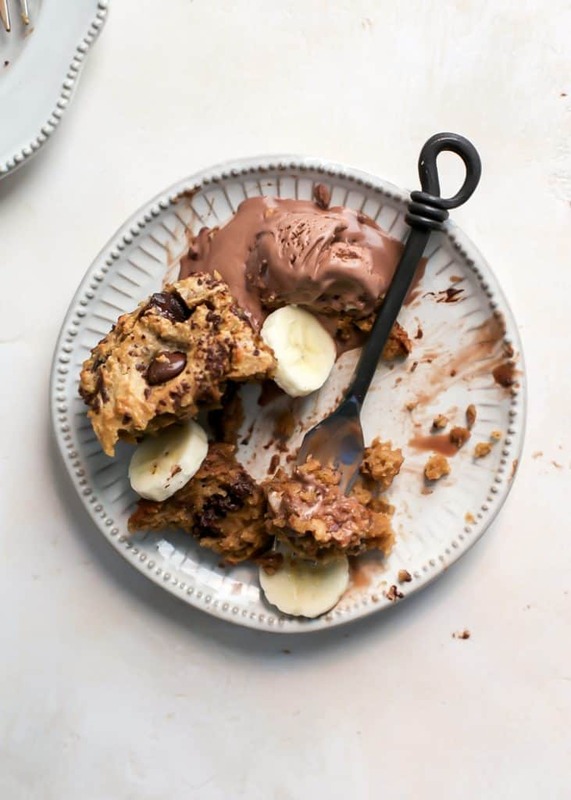 But if you’re banana–obsessed like me and love a good ole paleo sweet treat, get ready for this deliciousness. 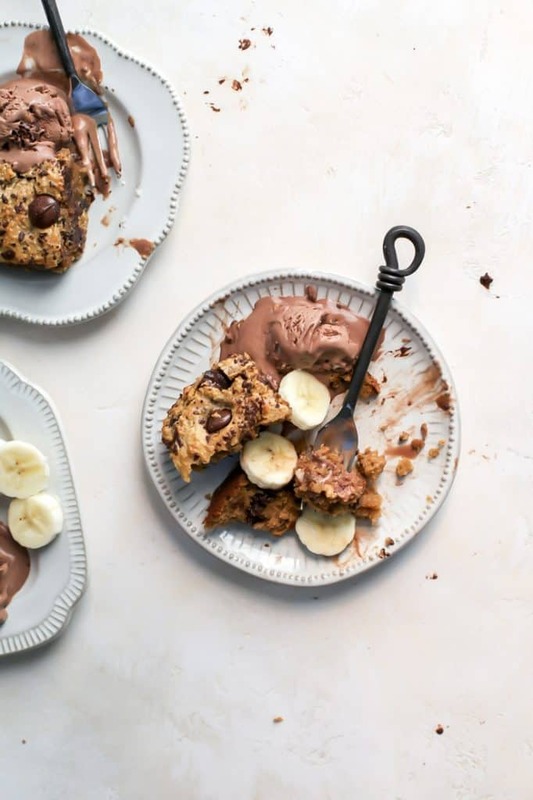 You’ll want to make sure you use extra-ripe bananas here – even spottier than the one in the photo above. The best thing is to let the bananas go black and store them in the fridge or freezer for later. You can also speed up the process by roasting them in the oven. But really just buy a bunch of bananas, forget about them and then throw them in the freezer when they’re black as night. 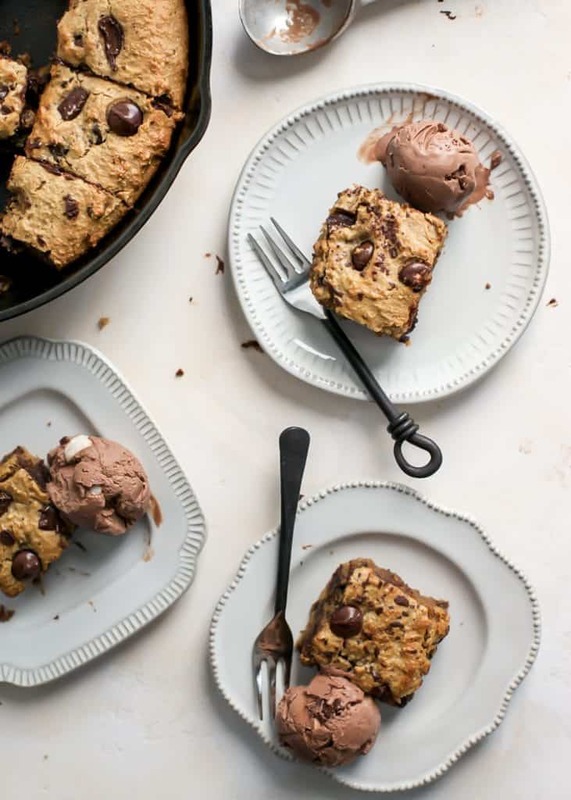 They’ll be the perfectly rich and sweet for this skillet cake. And if you don’t have too much of a sweet tooth, you could probably even omit half of the coconut sugar. 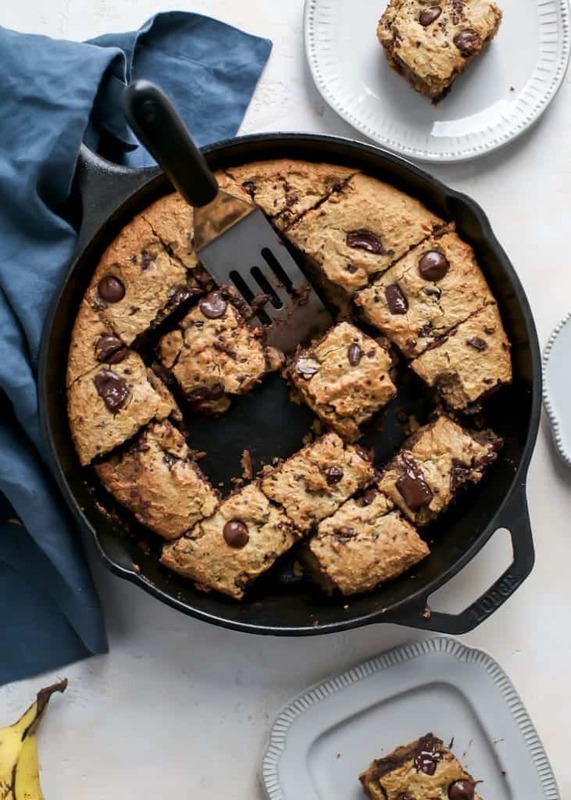 One thing to note about this skillet cake is that the middle is may be ever-so-slightly on the gooey side. You can cover the pan with foil and bake longer, but the edges will be more done than the middle. Personally I loved the gooeyness and thought it was almost like a warm blondie. I mean does it get much better than warm cakey goodness served with ice cream? The obvious answer is no. No it does not, my friends. Preheat oven to 350ºF. Grease 10″ cast iron skillet with butter or oil; set aside. In large bowl using electric mixer, beat together nut/seed butter with sugar on medium speed until well combined. Add oil and eggs mixing on low speed then add vanilla and mashed banana mixing on low-medium speed until smooth. Add in almond flour, baking soda, cinnamon and salt and mix on low speed. Batter will be somewhat thick. Gently stir in chocolate chips and chocolate chunks. Pour batter into greased skillet using spatula to spread evenly across top. 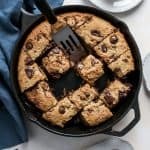 Bake skillet cake for 25-35 minutes, or until edges are lightly golden – cover top with foil at halfway mark to prevent too much browning. Middle may be more soft. Allow cake to cool for at least 20 minutes before cutting and serving. Enjoy! This recipe was not tested with other flours, it is specifically developed for almond flour. Adapted from my Paleo Deep Dish Pumpkin Cookie Cake. 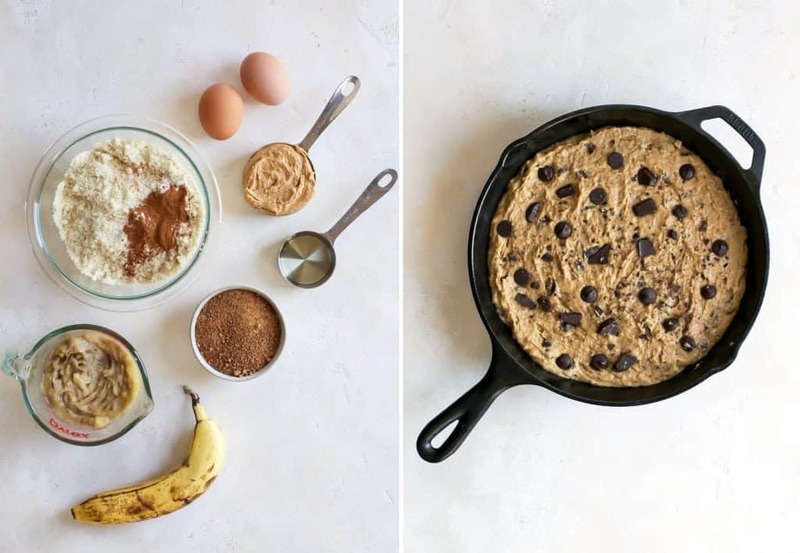 I used 3 extra ripe bananas, only 1/4 cup brown sugar, 1/3 cup tahini, and 1/4 cup coconut oil. I had to bake it for 40 minutes, and even then the middle was still gooey (but I like it that way). Makes a large batch. I mean 1/2 cup tahini! 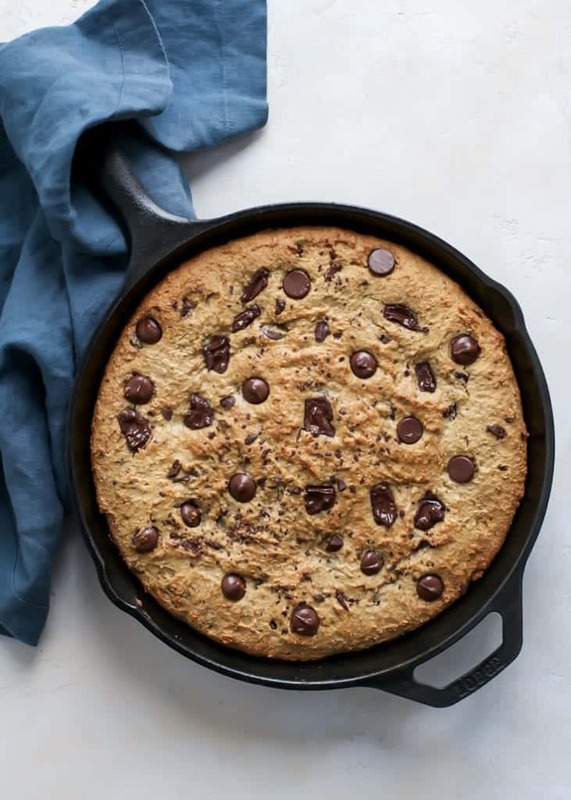 Your Instagram post had me hooked, and I had to make this skillet cake tonight (along with the apple oat bars, yum! ), This cake is oh-so-easy and divine! I only had 2 bananas, but it still had a lovely banana flavour. I used almond butter, and cut the sugar in half, but made up for that by adding extra chocolate chips. Topped with salted caramel ice cream, my hubby and I were in heaven…. Hi! Just put this in the oven and realized I didn’t add vanilla–it’s in the ingredient list but not the directions. 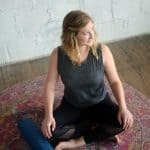 How much and when to add? I’ll do it next time. Thanks! Hi Caren, Thank you for your comment and bringing that to my attention! So sorry about that. Updating to fix – it’s 1 tsp vanilla added with wet ingredients. So good! Super moist and a perfect mix between a cookie and cake. I only had odds and ends of gluten free flours at my house, so I used 1.5 cups almond flour, 1 cup gluten free flour and 0.5 cup of oat flour and it turned out perfect. I will make this again! Awesome Brianna! Thanks so much for sharing your substitutions 😀 It helps me and others looking to make the recipe. And thank you for the review!! <3 I appreciate it more than you know.